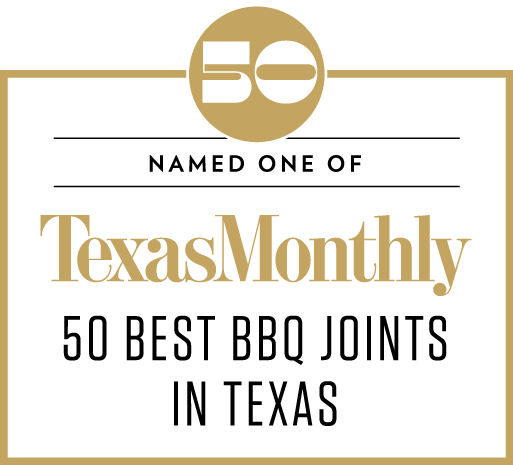 Harris BBQ was established in 2013. The restaurant was a dream fulfilled for Kelvin and Angie Harris, and has been warmly greeted by the community ever since. Angie is the “behind the scenes” queen and Kelvin is the pit master of flavor. Together, they are TEAM HARRIS. Selected and recognized for his hard work, Kelvin is described as a “backyard warrior” with “stellar brisket”. Angie takes great pride in the close-knit atmosphere their restaurant inspires. We invite you to come and experience some “AWARD WINNING” Bar-B-Que located at 220 S. Hwy 77, Waxahachie, Texas 75165. Open Tuesday thru Saturday 11:00 am UNTIL SOLD OUT.